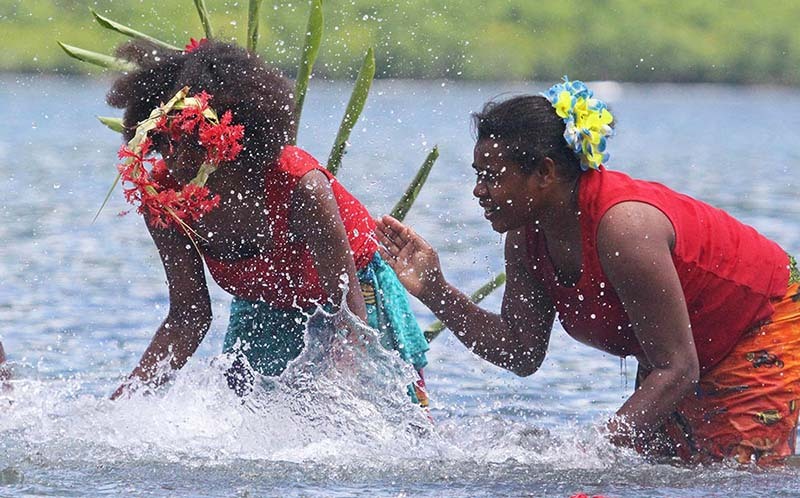 I have been lucky enough to visit Vanuatu almost every year for the last decade and a half on various expedition ships. Vanuatu doesn't have a huge diversity of animals, especially compared to the diversity of PNG further north, or the endemics of New Caledonia further south. But she has some interesting islands, culture, geology and coral reefs. 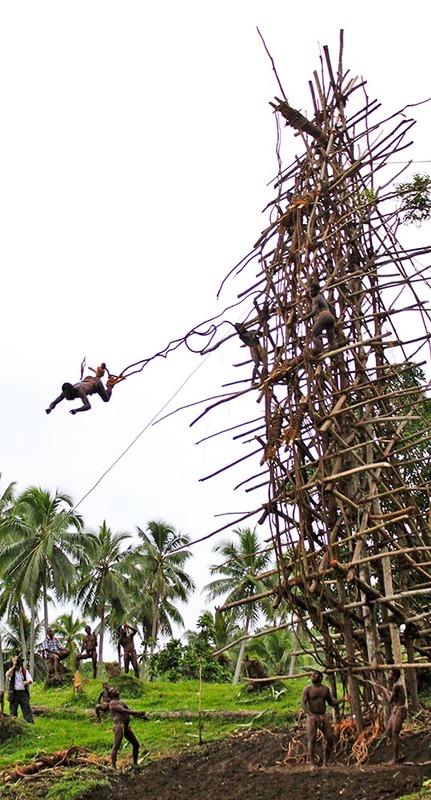 Vanuatu is perhaps most famous as being the home of the original 'bungy jumping', derived from the land divers of Pentacost. 'land-diving' - the inspiration for bungy jumping! It is also home of the lesser known 'water music', where local ladies slap the surface of the water in rhythm while singing. I have seen this performed on salt water and in freshwater (the latter at Ureparapara). 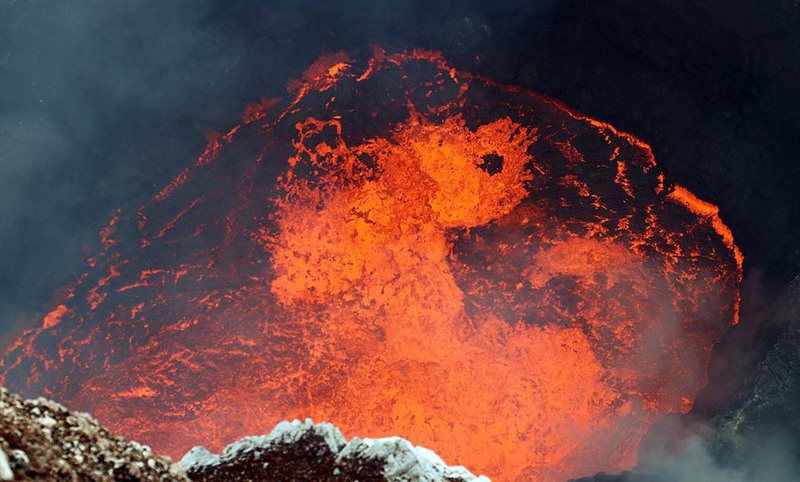 The island chain also includes islands with very active volcanos, such as Ambrym (pictured below) and Tanna Island. 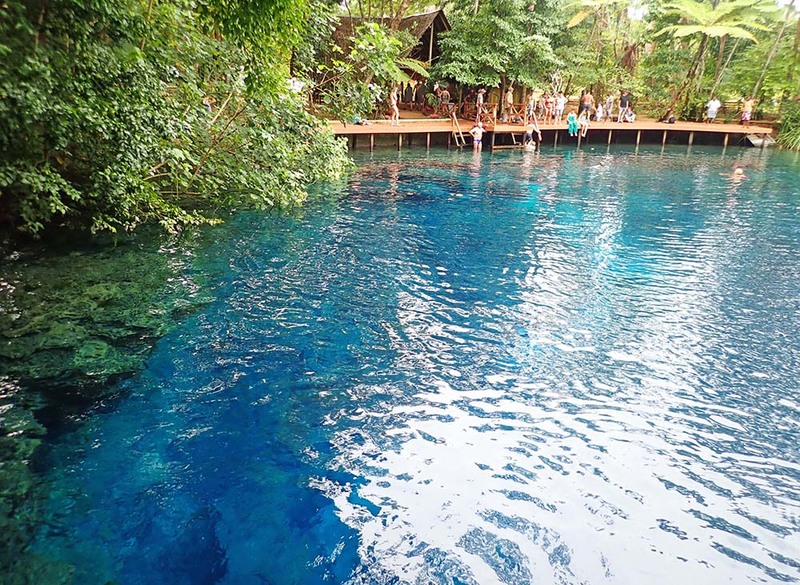 As well as lots of nice beaches and coral reefs to snorkel, Vanuatu claims to have more freshwater 'blue holes' than anywhere else. There are about a dozen of them along the east coast of Santo, and I havr seen four of them. Water from rainfall seeps through the limestone, then comes to the surface in certain areas close to the coast, where the clarity of the water results in a bright blue. As the water proceeds down the river, it tends to dull in colour. Snorkellers on coral reefs along the coast, such as at Champagne Beach, often experience 'blurring' in the salt water; this is that cold fresh water coming from these limestone fed creeks. Within the blue hole systems are several species of fish, a crab and a crayfish.